You are here: Home / Blog / General Information / House of Diamonds Swag! We recently ordered House of Diamonds swag for our clients. 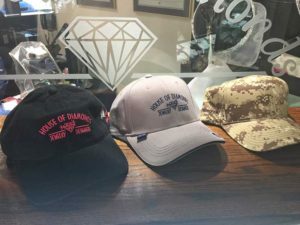 There’s a traditional gray and blue hat, a black and pink hat, and even a camo hat for those of you wanting to stay hidden from animals while sporting your House of Diamonds merch. We also created really nice blue mugs with our logo and contact information. They are substantial mugs and Gene says they make your Bailey’s and coffee taste even better! 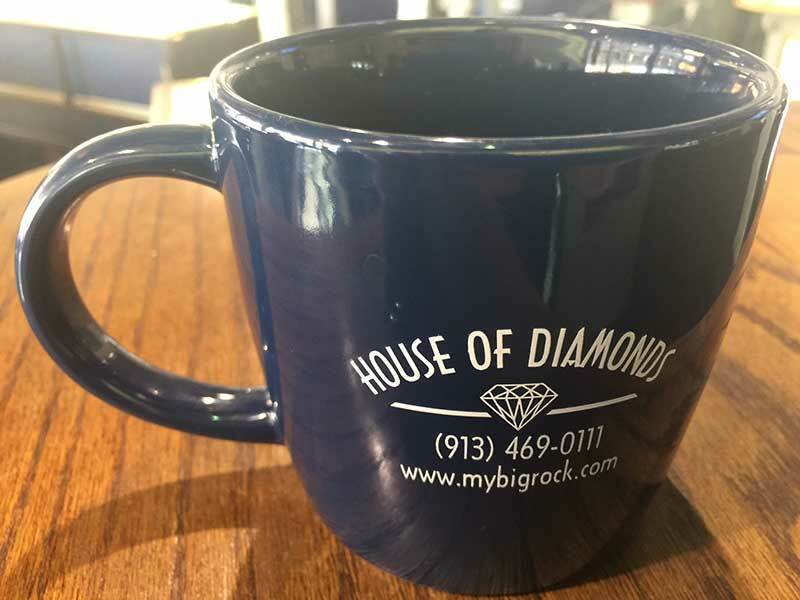 Next time you stop by House of Diamonds, be sure to pick up your hat or mug!